We present a self-adaptive and distributed metaheuristic called Coalition-Based Metaheuristic (CBM). This method is based on the Agent Metaheuristic Framework (AMF) and hyper-heuristic approach. In CBM, several agents, grouped in a coalition, concurrently explore the search space of a given problem instance. Each agent modifies a solution with a set of operators. 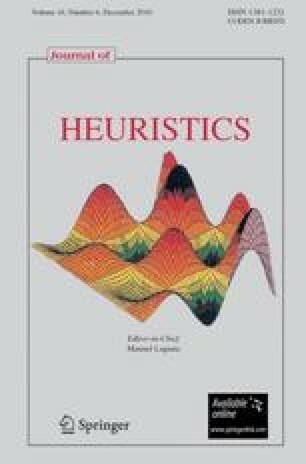 The selection of these operators is determined by heuristic rules dynamically adapted by individual and collective learning mechanisms. The intention of this study is to exploit AMF and hyper-heuristic approaches to conceive an efficient, flexible and modular metaheuristic. AMF provides a generic model of metaheuristic that encourages modularity, and hyper-heuristic approach gives some guidelines to design flexible search methods. The performance of CBM is assessed by computational experiments on the vehicle routing problem.